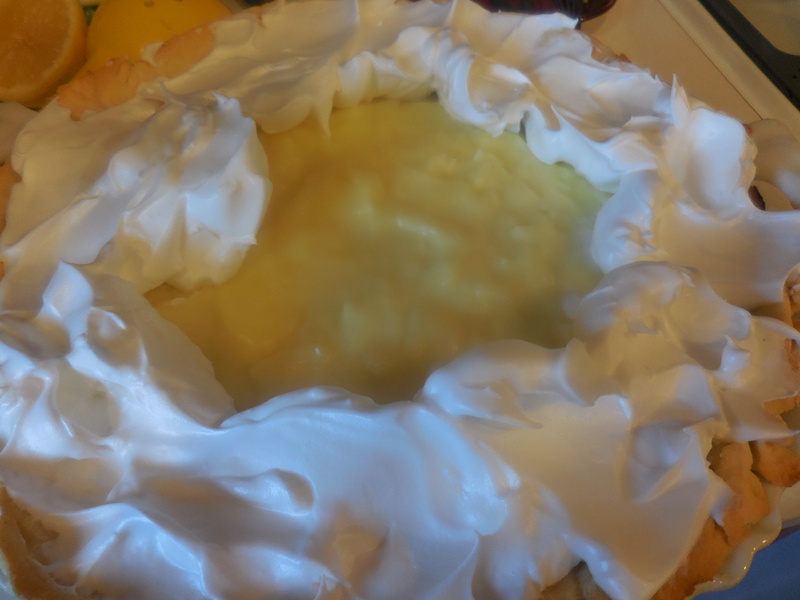 This coconut cream pie recipe is one I was given by the Albion Ladies Aid of the Albion United Methodist Church the first year my husband was a pastor there– that was 23 years ago. Those ladies were some of the best bakers I ever met. Every year they made pies to sell, over 300 pies on some occasions. They also made the best sticky buns you would ever want to sink your teeth into. They would pull an “all nighter” to make 300-350 pans of cinnamon rolls and sticky buns! I’ve been making this pie ever since, so I hope you will enjoy this pie as much as our family does. 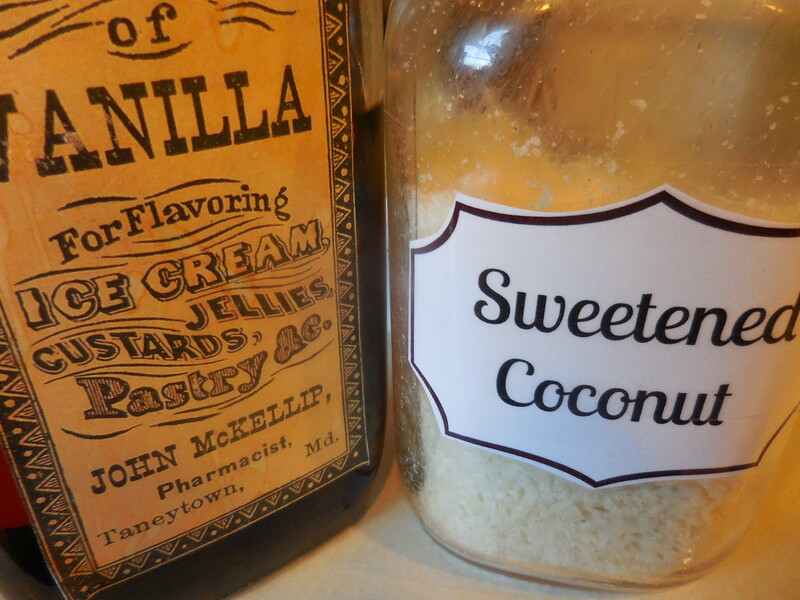 There is a pdf of the recipe at the bottom of this post for you to print our the recipe! You need to do a little prep work before you get started, so get out all your ingredients! Take 3 eggs and separate the yolks from the whites, keep the whites to make the meringue later in the recipe. You need to do this first because once you start to cook the coconut cream pudding you will need to keep stirring the pot. 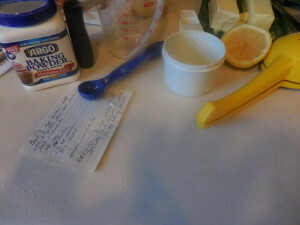 In a pan mix 2/3 cup of sugar, 1/2 tsp. 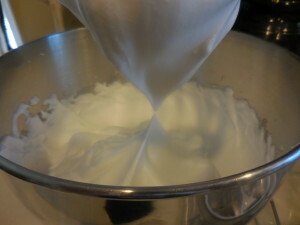 of salt, 3 Tablespoons of cornstarch and 1 Tablespoon of all purpose flour, stir to mix together. 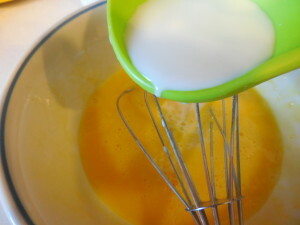 Add 3 cups of milk and stir again. Place mixture on heat and cook for 3 minutes (set your timer). After 3 minutes, take some of the milk mixture and pour it into the beaten egg yolks, keep adding the milk until you have tempered the eggs. I usually do about 1 cup of milk total. 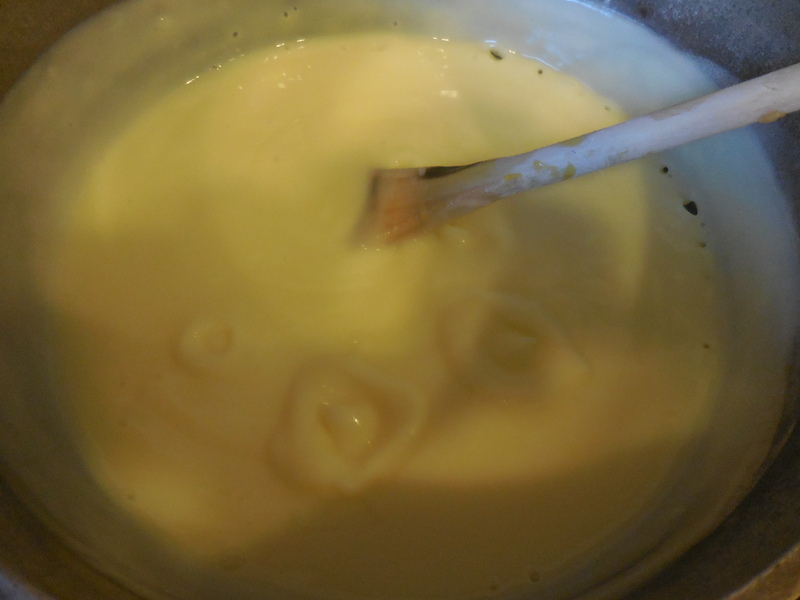 Once the eggs are tempered (bringing them up to a warmer temperature) add them into the milk mixture in your pan. You want to stir constantly at this point. 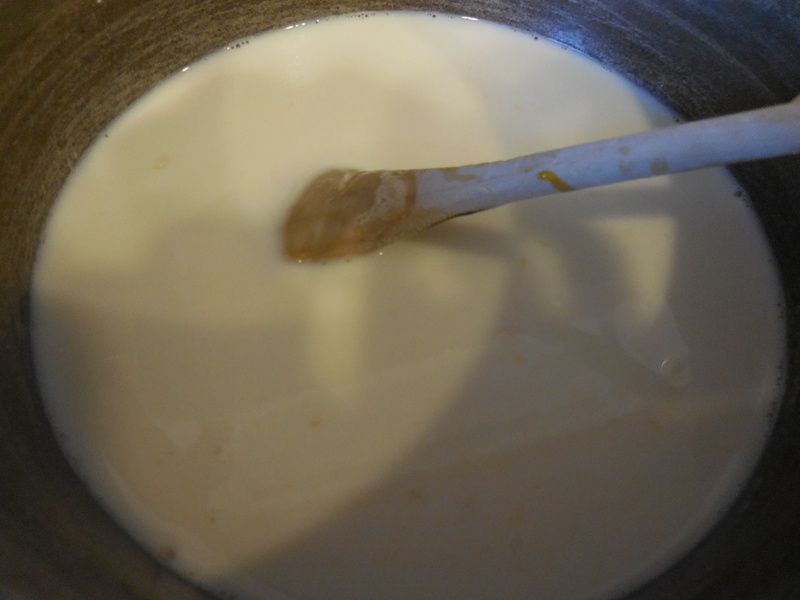 Bring to a boil, (bubbles will pop up on the surface) turn heat down to a medium/low so you don’t scorch the milk and keep stirring for 1 minute. 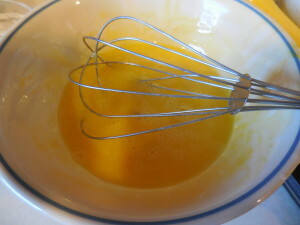 After 1 minute, mixture should be thick. 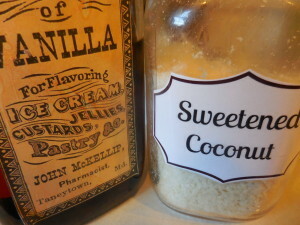 Turn off the heat and add 1 T of butter, 3/4 cup of coconut and 1 1/2 tsp of vanilla. 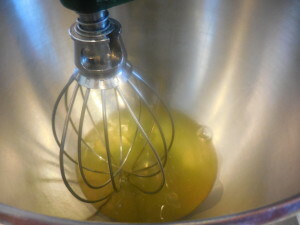 Stir until butter is melted completely and then pour into your baked pie crust. For the meringue, add the 3 egg whites into a large bowl or Kitchenaid mixer using the whisk beater and begin mixing. 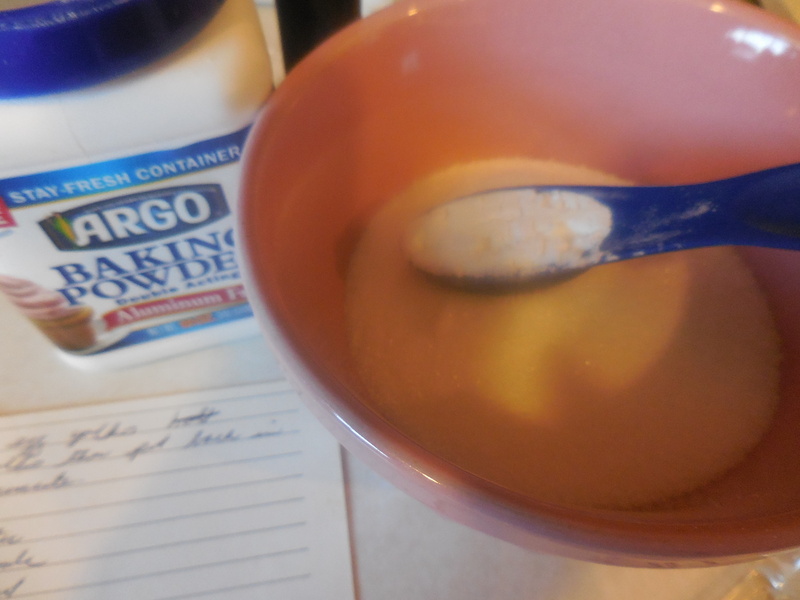 In a bowl add 1/3 cup of sugar and 1/2 tsp of baking powder. Once egg whites come to a soft peak, slowly add the sugar/baking powder mixture. 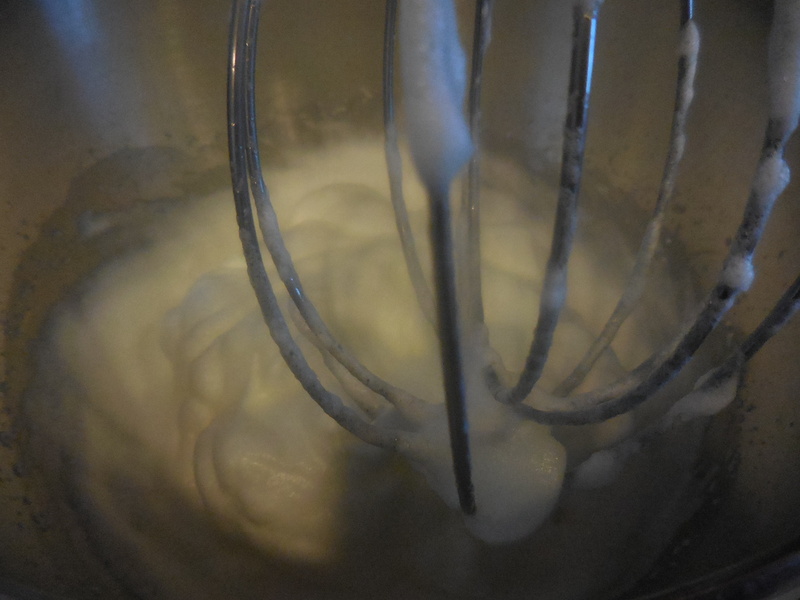 Continue beating until egg whites form a stiff peak. Put meringue on top of the pudding mixture in your pie, sealing the edges to the crust to prevent it from shrinking. 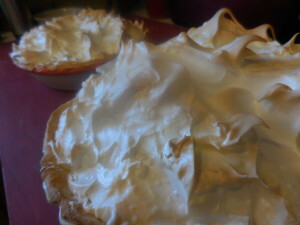 Put meringue over the entire pie! 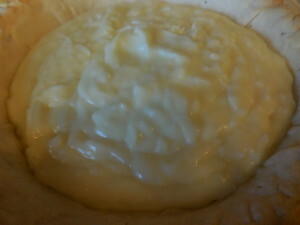 Bake at 325 degrees 15-20 minutes or until lightly browned. 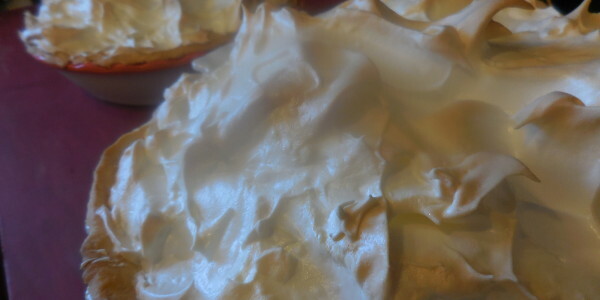 Be careful not to burn the meringue. Cool for 2 hours then refrigerate! Last night I forgot to turn the dishwasher on, so I was doing that this morning while I was baking. 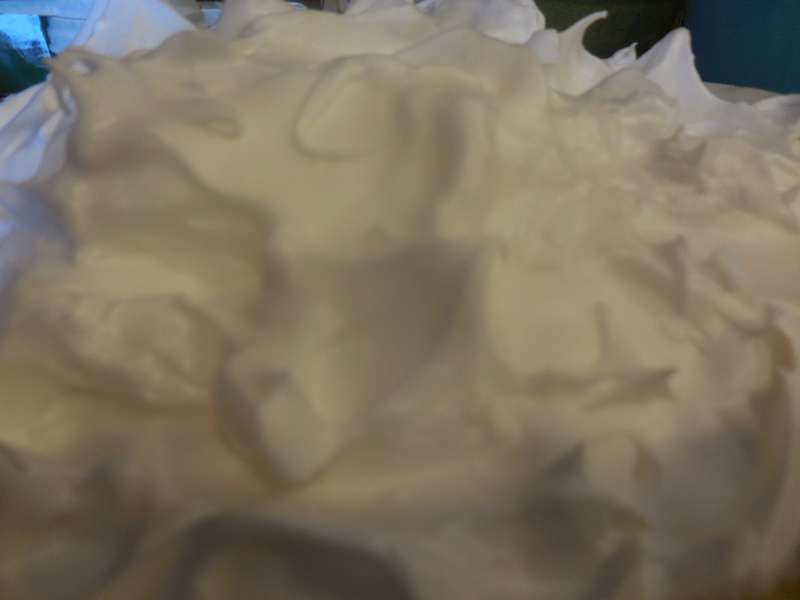 Typically, when I bake I clean up as I go and just throw the dishes into the dishwasher. That is something my mom taught from the time I was a little girl. 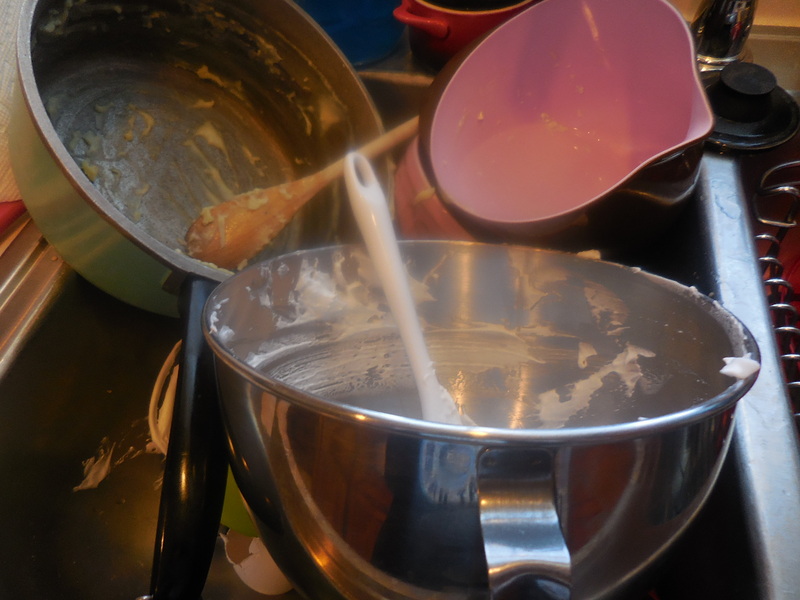 She always said, “if you clean up as you go, when you are done baking you won’t have a mess.” I’m 60 years old and I still can hear those words! Well, I didn’t do that today and so I’m going to show you a little behind the scenes photo of my mess! I did get the dishes out of the dishwasher and put away and then got this mess cleaned up! Swept the floor too, yeah, I am a little messy when I bake and I always wear an apron! 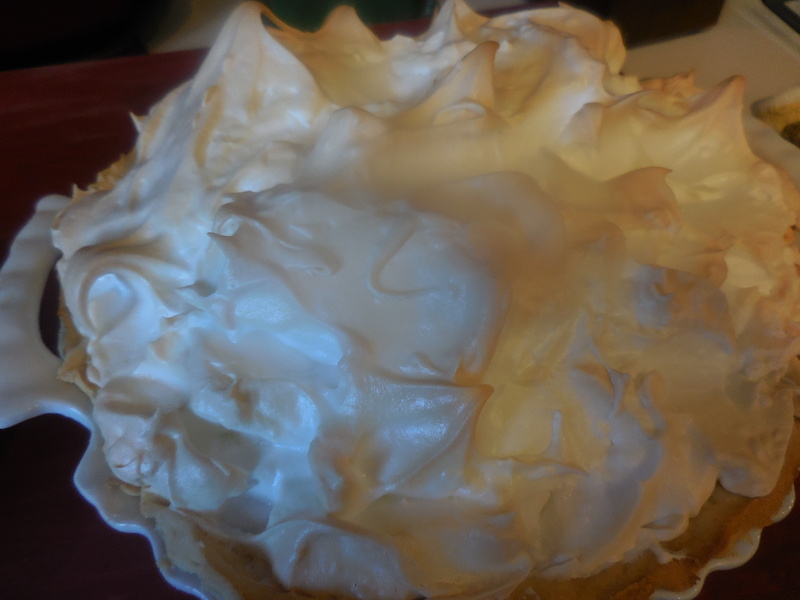 Click on link below for PDF recipe!